Though county officials are happy that the Maryland State Highway Administration and the Department of Transportation are working to ease traffic congestion, Montgomery County Council President Nancy Navarro said her concerns were actually heightened, not reduced, after hearing from Maryland Secretary of Transportation Pete Rahn last week. In a meeting before the council, Rahn was asked about Gov. Larry Hogan’s Labor Day statement that no homes would be taken when the Beltway is widened. Rahn said if all proposals come in with plans to take private property, including homes, the state would “further incentivize” those firms working on the project to try to avoid that. But she said she wanted the state to respect concerns of citizens who worry their homes could be taken in the course of the public-private partnership project designed to improve traffic flow along I-495 and I-270. At the same time, she said the state and county officials have the same final goal: less congestion on arteries where commuters spend countless hours moving at a crawl, even outside of rush hour. At the Monday briefing with reporters in Rockville, Council member Tom Hucker referred to the letter signed by County Executive Marc Elrich and all nine members of the county council that outlined the concerns of local officials. “They shouldn’t start on 495 east of the spur where the right of way is much more constrained — where there’s a lot more private property in the way,” Hucker said. 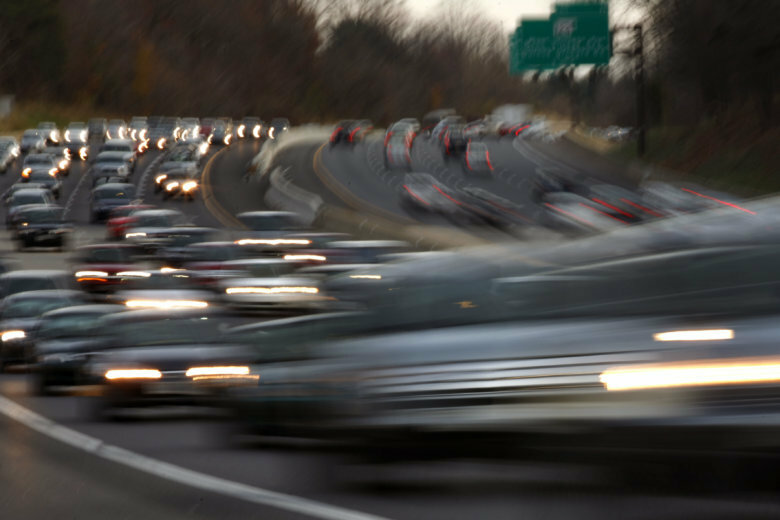 The State Highway Administration has planned six workshops for the month of April: three in Montgomery County and three in Prince George’s County. See the full schedule here. Presentations about plans started in July, with MDOT and SHA outlining a range of alternative plans. On its website, MDOT states that the upcoming workshops throughout April will “guide attendees through the workshop materials that will include informational displays, handouts, and interactive and hard copy mapping.” Time will be provided for questions and answers, according to the website. Hucker said that the process of the managed lanes project has been “troubling.” So far, he said the outreach sessions seemed more like “dog and pony shows, where a lot of information is presented in a one-way manner” and where feedback isn’t taken in a formal way. “In addition to meeting with the Montgomery and Prince George’s county councils, MDOT SHA has reached out to hundreds of community associations and is setting up meetings with any of these groups that are interested in a briefing,” Henson added. Hucker said he’d like to see a more collaborative approach from the state and that there is a “win-win” in the overarching goal to get traffic moving.